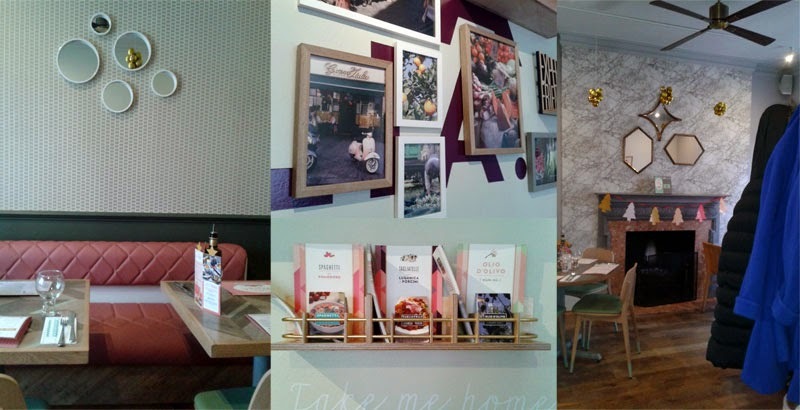 The latter half of this year has been an eye opening one for me when it comes to Italian chain restaurants. Although I've been a few times to Caluccio's, I had my first (and very last) visit to Pizza Express (review coming up), tried Jamie's Italian and now here I was for my first visit to ASK Italian. Now ASK seem to be doing it a little differently. Walking through the doors you are unashamedly bombarded with Italian theme; wall graphics with exclamations of authenticity, recipe cards, information on their food suppliers, their own olive oil and even the Italian themed posters from one of my favourite Illustrators, Ana Zaja Petrak. Thankfully it's contrasted with an unexpected modern pink and blue interior to avoid looking like an Italian theme park. The location is perfect and a really popular restaurant (as are all of the Italian chains in the city), not taking long for almost all of the tables to be filled at lunchtime. The food choice is quite overwhelming at this time of year. 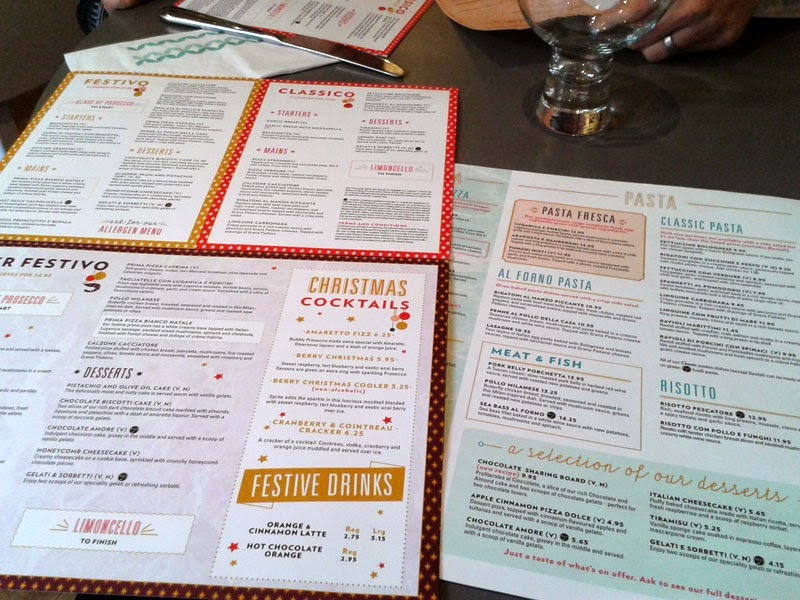 You have three festive set menus, in addition to the specials and already enormous standard menu. You need to set aside a good 15 minutes to study it all and too much choice really is a bug bear of mine. But the nature of these places is that they are crowd pleasing and I know some mainstream diners do get miffed if there is less than thirty main course choices. Anyway. The food. There was nothing really wrong with any of the food. It was pleasant, fresh and it doesn't cost a fortune. But it's not what I would call authentic Italian. And someone along the way in some head office somewhere has also deemed it necessary to sprinkle pretty much all of the dishes with dried herbs too which I'm still struggling to understand. 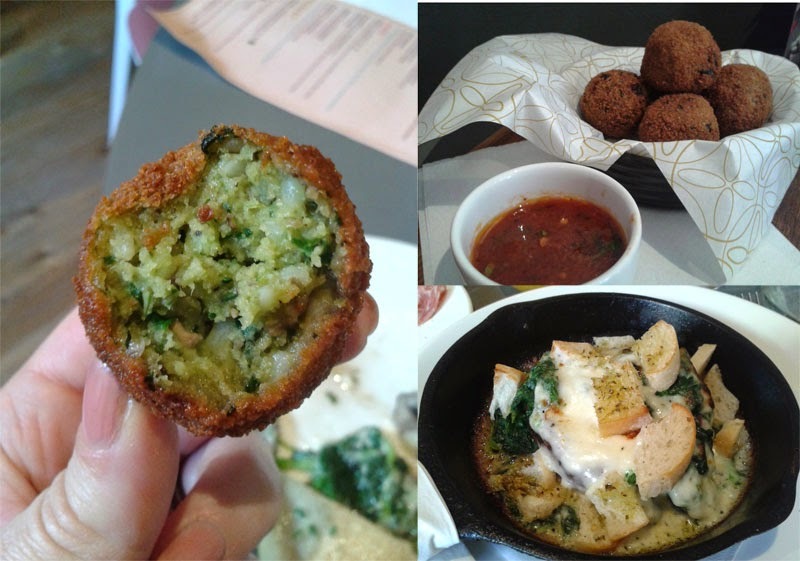 We stared with some arancini which were nice enough, crisp, but not how mamma makes. Much smaller, the risotto used to make them had been overcooked so they were quite mushy and I think they should still have bite. Also, arancini are normally quite plain with a hard hitting filling but these were spinach, goat’s cheese and mushroom risotto. Italians do use mushrooms a lot in cooking and often feature in the antipasto, normally served simply by pan frying a selection of varieties in oil and garlic with a little parsley. Here, the huge, water-laden baked Portobello mushroom came topped with spinach, cheese sauce and croutons. 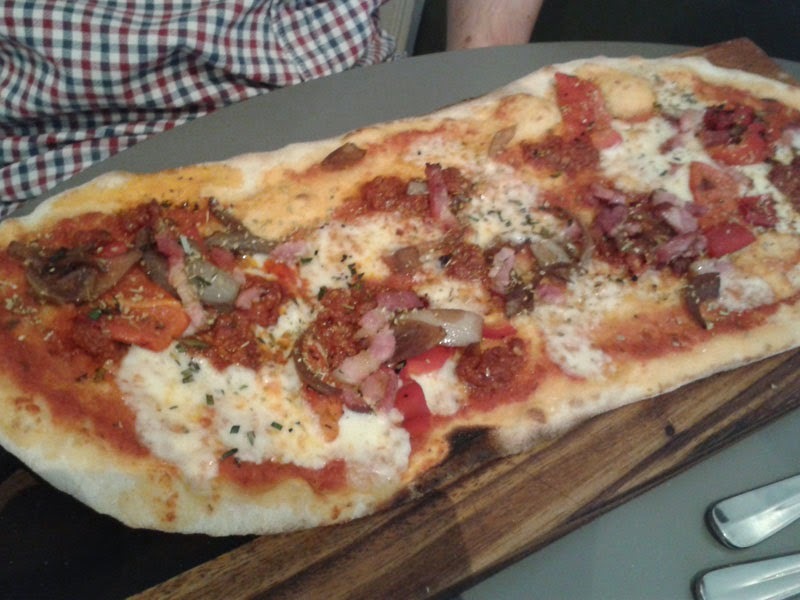 I'd been invited here as they had seen I was conducting a Brighton pizza review, so pizza it had to be for mains. 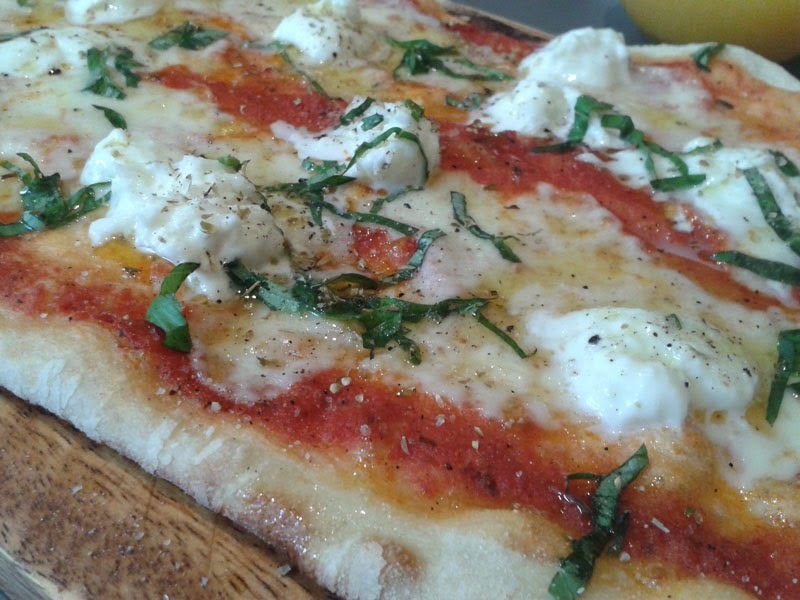 I always go simple with my pizza and the Margherita with Buffalo mozzarella was just enough topping for me. I loved the really grassy olive oil drizzled on top, which I thought tasted very good quality. The bases, in the longer format, had been stone baked and were really well cooked, crisp and well seasoned. 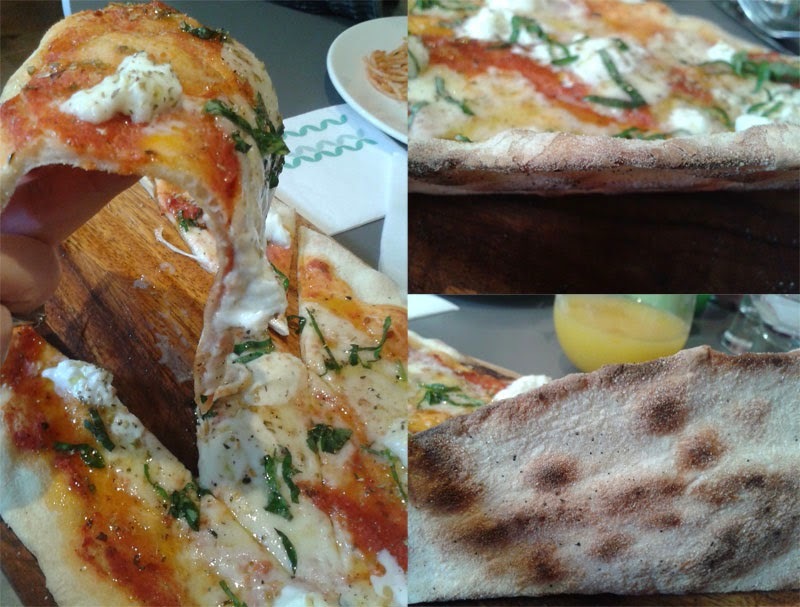 I still prefer my pizza with a proper hand shaped cornicone and a little more body than this fashion for rolled out, super thin bases but at least at ASK they were not soggy. Mr. GF had the n’duja sausage, roasted red peppers, pancetta, caramelised onions and Fontina cheese, which again was decent with a good level of heat, if a tad overloaded. With over twelve of Brighton pizzerias under my (straining) belt now, the ASK pizza surprisingly fared quite well, even above some of the local independents. These places are great for children and my 3 year old toddler came in tow armed for the kids menu. Instead of his crudites with the special house sauce, which I believe was 1000 Island dressing (?! ), he demolished a stuzzicini plate of Pecorino cheese, salami and crostini from the main menu. Half Italian, he sure is. 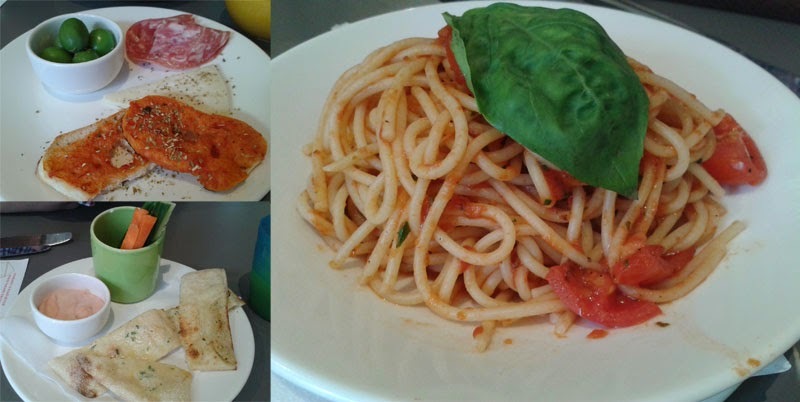 His spaghetti with a simple tomato sauce was ok, maybe a few minutes overcooked but we do like pasta al dente in our casa. Finished with a single scoop of gelato, I think it was a decent kid's menu and healthier and fresher than the chips-with-everything you normally get and something I was quite happy ordering for my son. He was also rather impressed with the yellow stick windmill they gave him which now sits, on his insistence, ride of place on the top of our Christmas tree. It's difficult this one. I understand why people like it but it's so hard for me to say I loved it here. Ok, I sometimes eat supermarket sushi and probably eat really bad Chinese food quite happily where respective country men would be horrified with both. ASK may not do Italian food as I understand it, but they do pretty good Ango-Italain food. 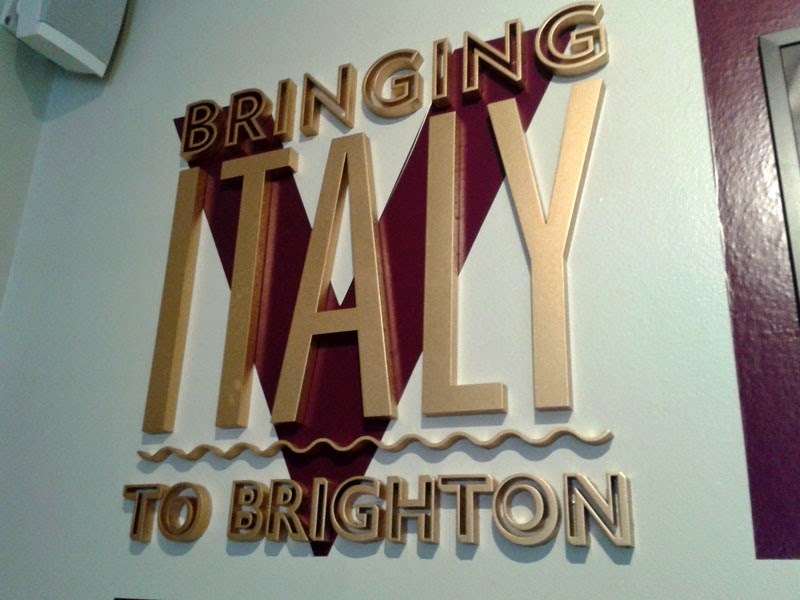 And in Brighton, where a good Italian meal is rarer than a sensible Italian politician, it has it's place here. I was a guest of ASK Italian.